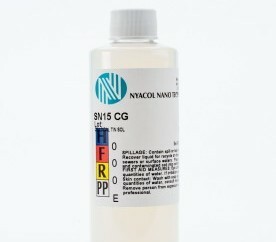 NYACOL® offers colloidal tin oxide in the form of hydrous sols. The particle size is 15-20 nm and the sols are offered as potassium or ammonia stabilized. 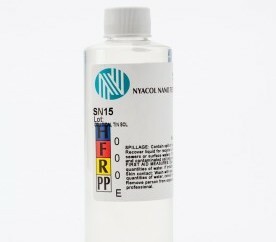 An amine stabilized version is also available. Our colloidal tin oxides are used as binders in ceramic and catalyst applications, passivation agents, as anti-scuff agents, and a potential conductors in glass. For use as a binder in ceramic and catalyst applications, a passivation agent, an anti-scuff agent on glass and a potential conductor in glass.